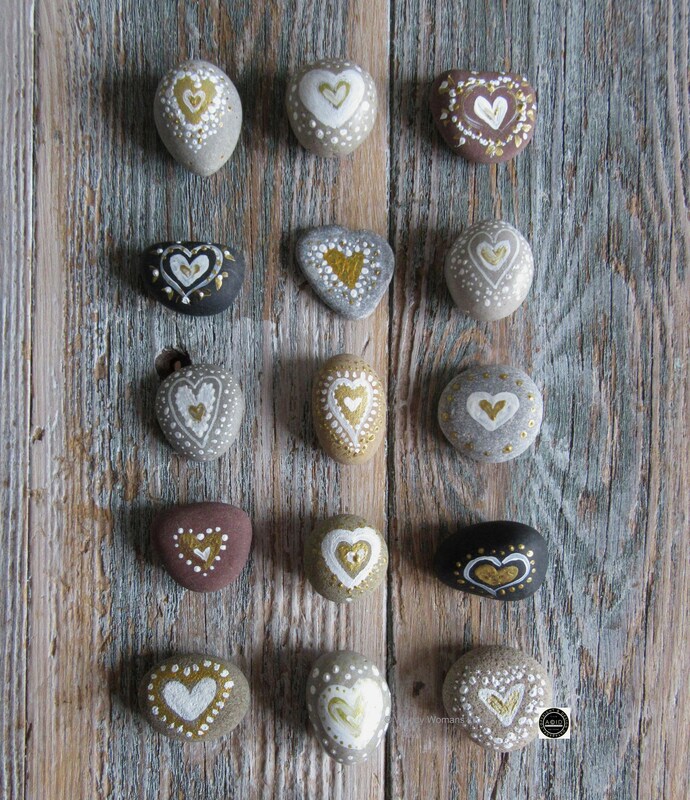 Painted Pebbles inspired in my Woody Womans World. 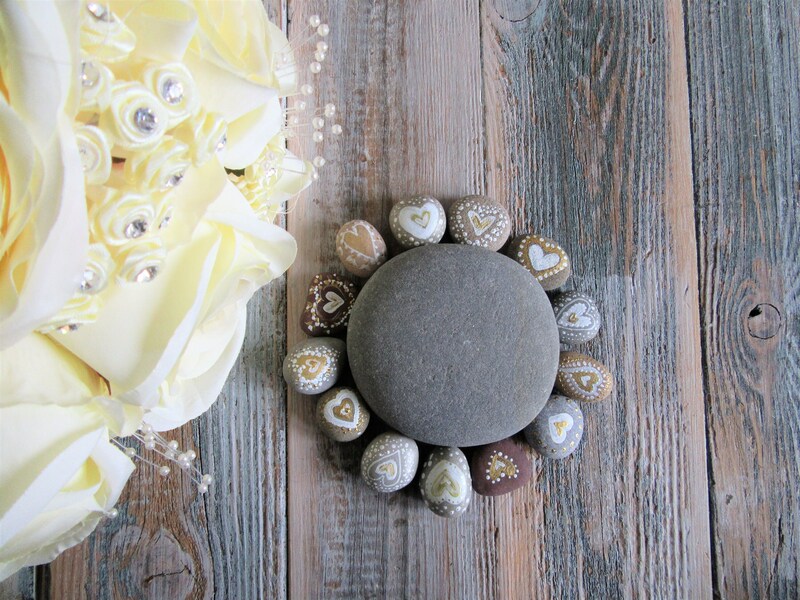 Cool to touch and enchanting to gaze at and perfect for your wedding day to scatter on your table or perfect for your guests as wedding favours or place settings. Sizes will be a mixed collection between 2.5 - 4 cm . 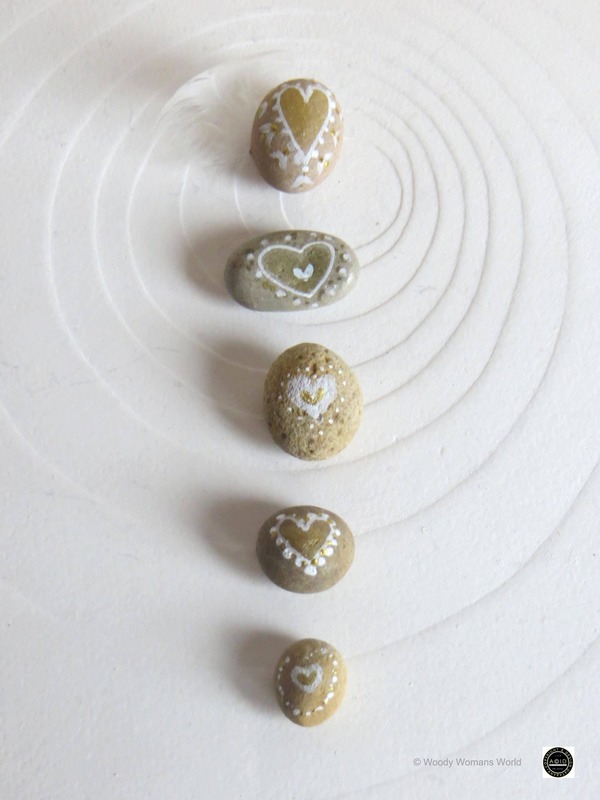 Each pebble will be unique in both design and shape and will vary from the next as nature intended. This gives your guest their very own piece of original art. 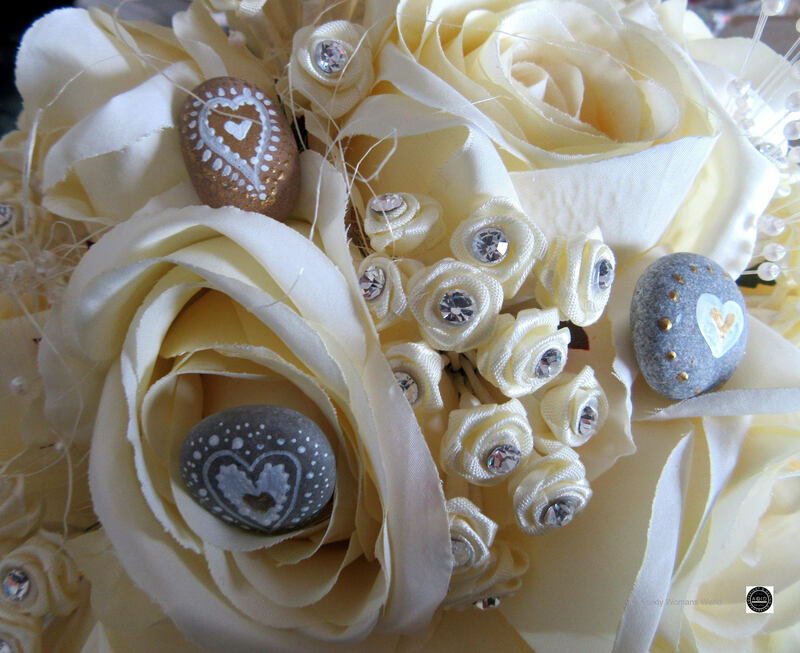 However if you wish to have the same design on each of your pebbles please feel free to ask by messaging me. 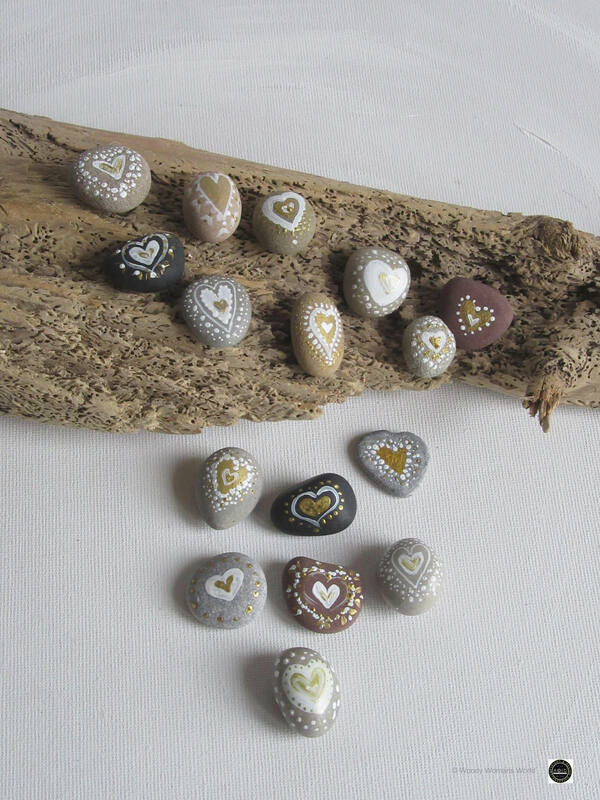 A mix of dark and light pebbles will be included unless of course you wish to have all of the same colour. 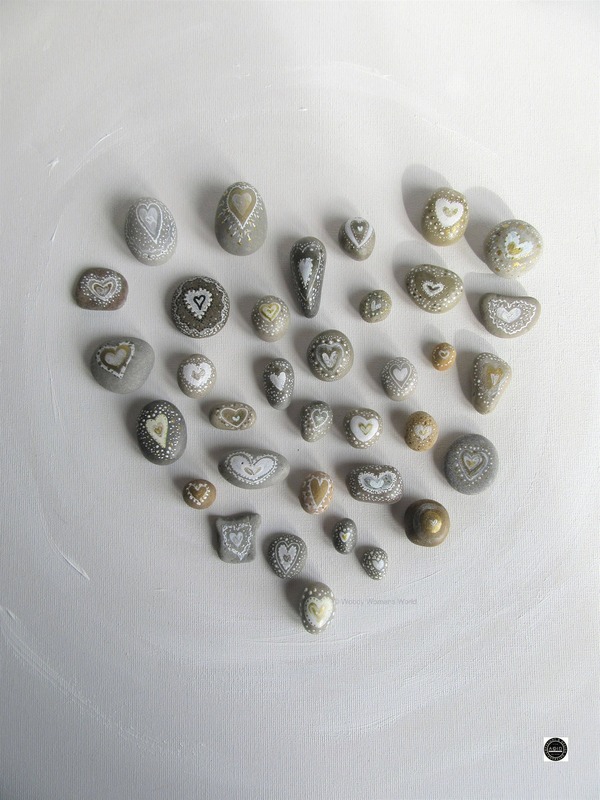 Each pebble is painted in a mix of both golds and silvers or gold only and silver only with the primary colour being white. Very subtle and beautifully painted. The listed pebbles are samples and your ordered pebbles may vary. However the quality and detail will remain the same. If you wish to have alternative base colours painted or designs please feel free to send me your wishes. 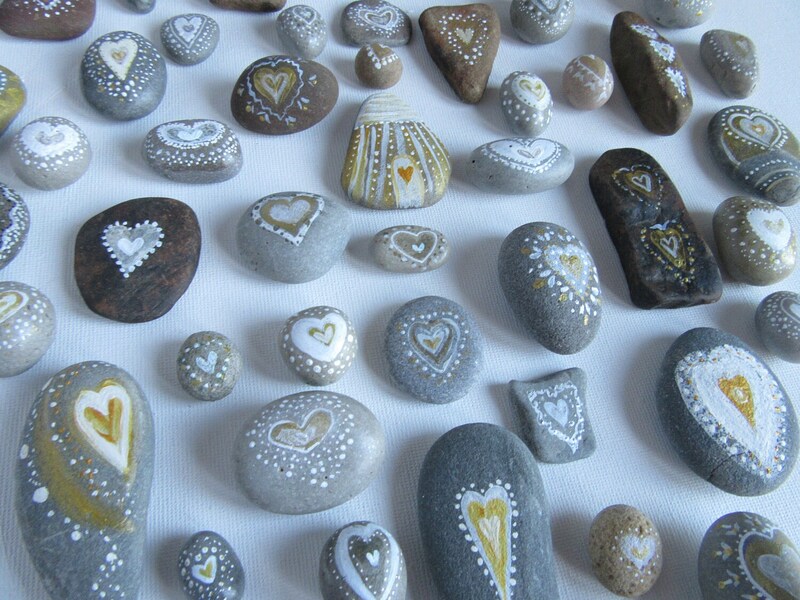 However I will send an image of your pebbles before dispatch for your thoughts so you are completely happy with your order. * Gold, silver or any other gilt colourings. * If you wish to have a set size for all of your pebbles or a variation in size from 2.5-4 cm. * Design choice if applicable. 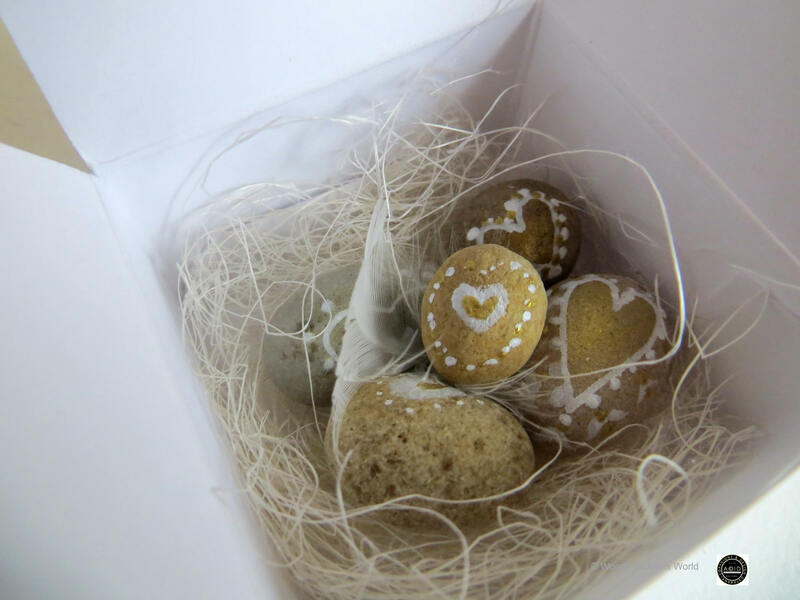 The sample box includes 6 painted pebbles. Please feel free to message if you require them speedily.